area beaches. 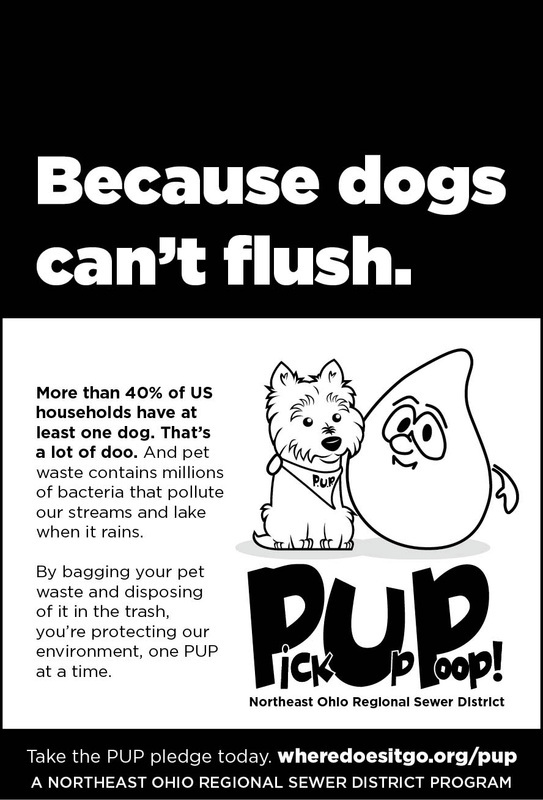 Our strategy was simple: get the message out to as many dog owners as possible. 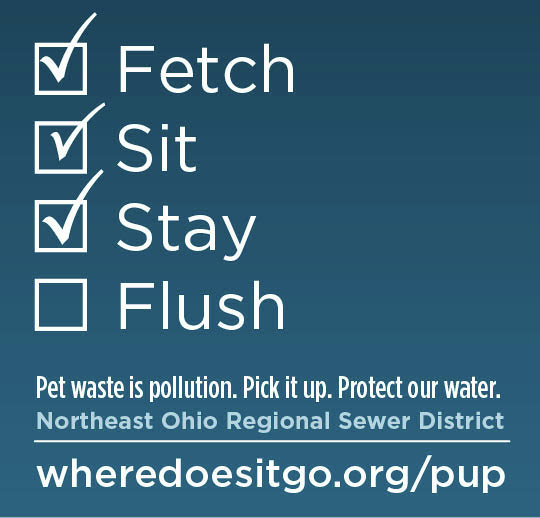 Our PUP campaign was presented at local venues, including the Cleveland Indians' Puppypalooza event, and several Cleveland Cavaliers games. 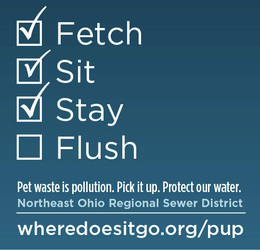 Radio and television spots raised awareness of our campaign efforts and directed residents to our PUP website. Local media covered our campaign and educational materials. In gratitude for a substantial amount of free airtime, we thanked the Mike Trivosonno show with a PUP Stuff care package. Here's what he had to say about that. 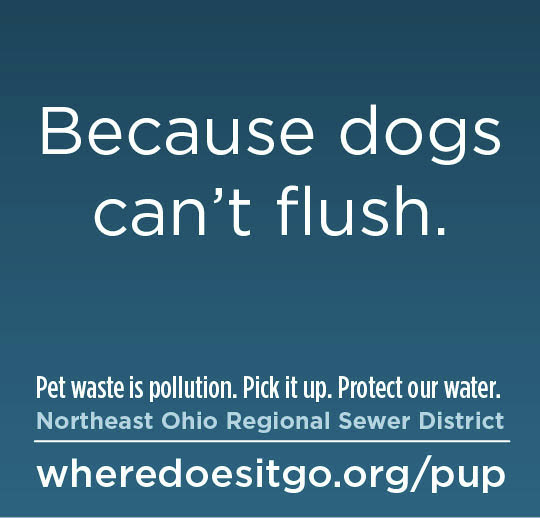 "You've got to hand it to the Northeast Ohio Regional Sewer District for trying to make dog poo interesting -- and for pulling out their pun machine to do it." 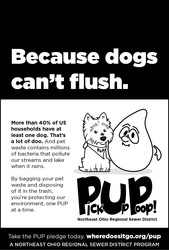 Print media were great venues for the PUP message. 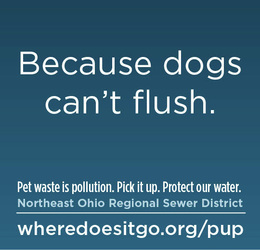 These posters could be seen on the Detroit-Superior Bridge, at the Shaker Square RTA station, and along select RTA Rapid and bus lines.